From talks in China to Triple Validation Unit installations in Northern Ireland, our Sales Manager David has been pretty busy so far this year and it’s only February! 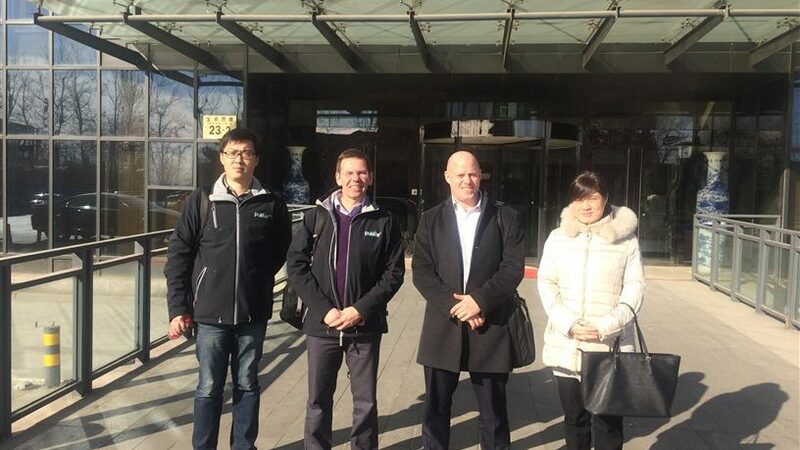 David began the year by visiting the biggest membrane manufacturer in China, Beijing Origin Water Technology Company. It was a great opportunity to catch up, especially as last year Partech supplied instruments to Origin Water through our distributor Beijing Science and Technology Company Ben-Hua. 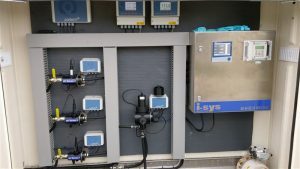 The instruments included: 120 TurbiTechw² LR, ColTechw² and OxyTechw² RDO Pro-X Sensors and 7300w² Monitors from our WaterWatch² Range and were installed at Waste Water Treatment Plants Huhehaote Xinxin Ban and Huhehaote zhanggaiying. Read the full story on our Record export order here. David was also able to spend time with Tianjin Waterworks Group to discuss an ongoing project for the city. Next on David’s agenda was a trip to Northern Ireland for a meeting arranged by British Water with Northern Ireland Water. They discussed needs and collaborations over the coming years and the potential impact of the March elections. David then went to see a Northern Irish Whiskey Plant to take a look at the installation of a Triple Validation pH system on an effluent line. This system ensures that even if a pH sensor requires replacement (as happens to even the best electrodes eventually) the process can continue without downtime. For more information on Triple Validation (sometimes referred to as Triple Redundancy) call us today 01726 879 800. Installation photographs courtesy of I-Sys Control Systems. Keep an eye on our blog for the next installment of Travels with David and also find out what our Sales Engineers have been up to. You can take a look at some of David’s other adventures here.